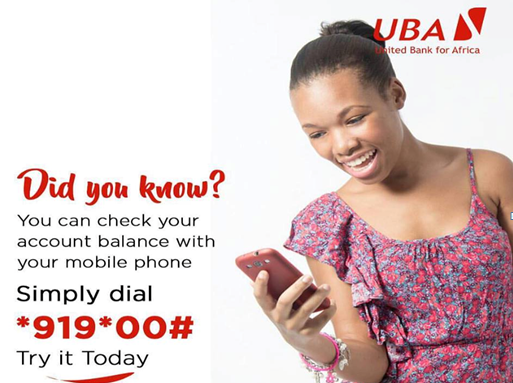 To check your UBA Bank Account Balance using Short Code, dial *919*00#. That’s all. Get your account balance on the move… anytime, anywhere and any day! Mobile banking code for United Bank of Africa (UBA), dial *389*033*1*amount# or dial *919# on your phone number and follow instructions. With this UBA Bank account balance USSD code, you can check and view your account balance through your phone without going to the bank and queue in the line just to check your account balance.